Investor: Beijing Zarsion Holding Group, Beijing Fengtai Science and Technology Park Construction Development Co., Ltd. The project is located in the core area of Fengtai District, West Fourth Ring Road of Beijing, adjacent to the Fengtai Science and Technology Park and the Corporate Headquarters’ Base Park. The surrounding facilities are quite comprehensive, including commercial facilities, hospitals, parks and other living facilities. The whole project consists of seven 11-story small high-rise residential buildings with a total construction area of 80640.1 square meters and an area of 3,4476.8 square meters. In total, there are 378 houses. The plot ratio is 1.85, which is a low-density pure residential project with more than 30% greening. The project features natural and healthy elements in design. 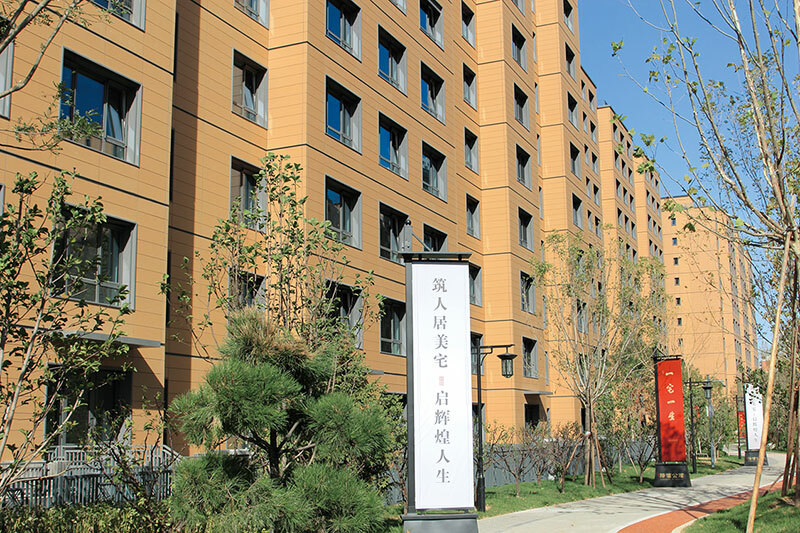 Based on years of use, it is the first batch of 100-year residential projects designed and built in China with sound durability. It also satisfies China Three-star Energy-saving Ecological Technology Standards. 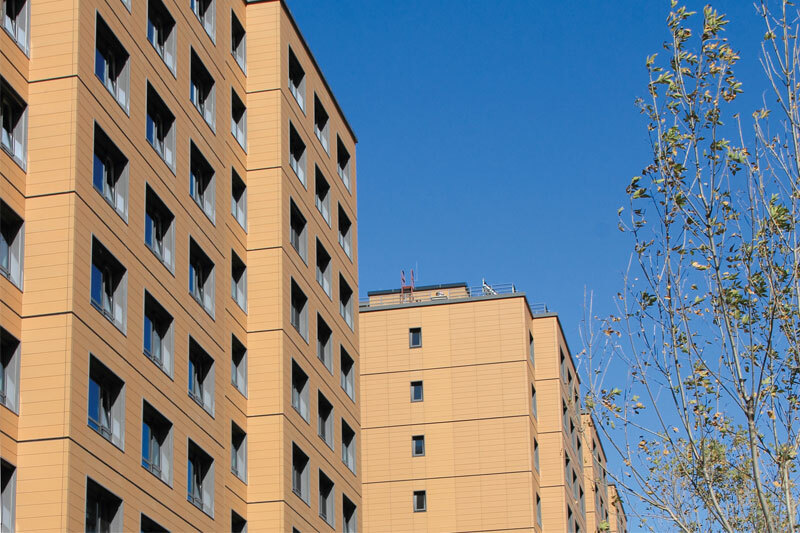 The designers use 22 mm terracotta panels as the curtain wall material for the building facade. The overall building is dominated by light orange, decorated partially with dark grey lines, making it warm and elegant. 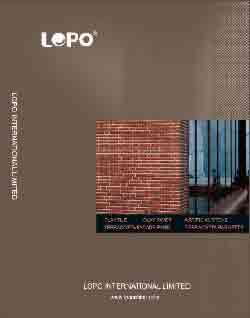 In terms of the layout of the terracotta curtain wall, the designers adopt a more uniform and neat facade division and made a horizontal division of each facade with a gray aluminum alloy closing, and the overall design is simple and smooth. 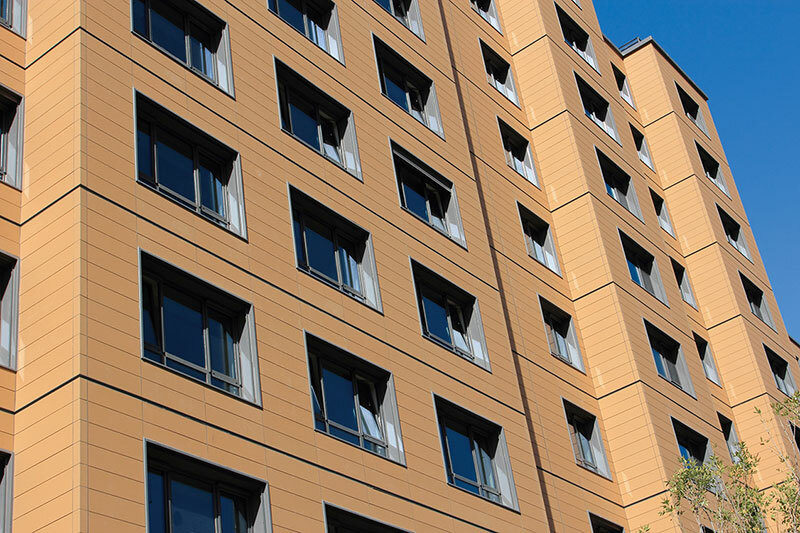 As an energy-saving, environmentally-friendly and sustainable building product, terracotta facade are increasingly used in modern high-end residential buildings. 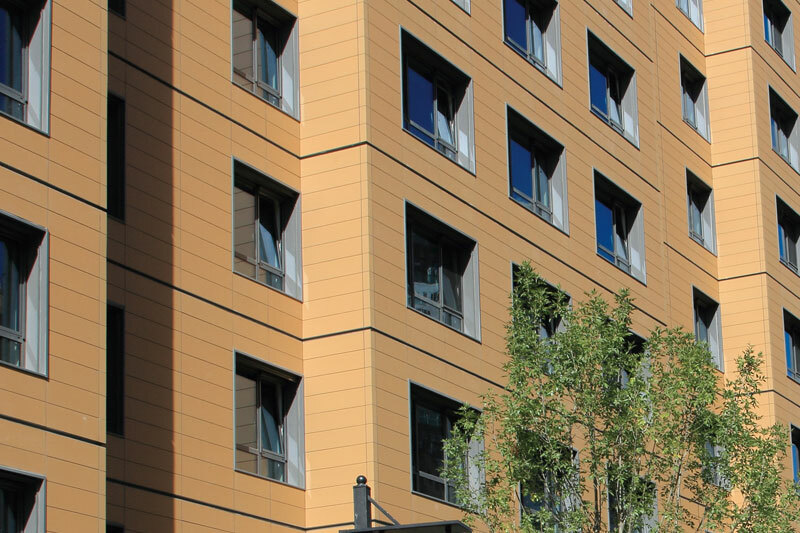 The terracotta panels choose clay as raw material and they are fired at high temperature, featuring the advantages of traditional clay building materials, such as durability and thermal insulation. 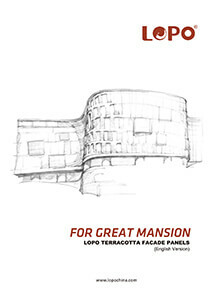 More importantly, the terracotta rain screen system’s design is based on the rain screen principle. 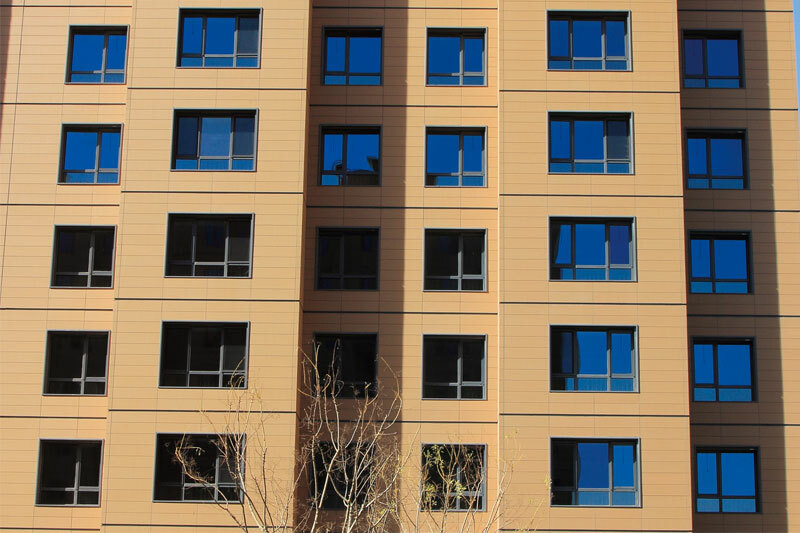 After the scientific design, it can reduce the rain and snow intrusion into the curtain wall, achieve the natural air circulation and ventilation, and protect the wall structure.